If you’re starting up a business, then setting up a business bank account is an important part of the process. In some cases, having a dedicated bank account for your business – and not simply a personal account where you can handle company finances – is mandatory. Whatever sort of venture you’re planning, a business bank account can help make your finances much easier to manage. In this post, we’ll provide information to help you get started, but you should seek the advice of a legal or financial expert for your specific needs. What is a business bank account? A business bank account works in much the same way as your personal bank account, but under the name of your enterprise rather than an individual. While not required by some types of business, business bank account benefits make them a smart choice for any company, as they make tracking profit, expenditures, tax and the general finances of your venture much easier. If you are operating as a partnership, company or a trust, then you must have a separate bank account for tax purposes. If you are operating as a sole trader you don’t have to have a business bank account, but many traders still opt for one. This simplifies the admin side of things and doesn’t require you to separate your business dealings from your personal ones. Some banks offer exclusive access to small business advisors for individuals who hold a business bank account with them, making them a sensible option for sole traders. If you’re not sure if you set up your business as a partnership, company, trust or sole trader, then you can search your Australian Business Number (ABN) using the ABN Lookup to work out your entity type. How do I open a business bank account? Business bank accounts are offered by all of the big four banks and most of the smaller ones. For your own convenience, you can open a business bank account with your current bank, but this is by no means necessary, and you may even save money by looking elsewhere. If you have a poor credit history then you are less likely to be accepted for a business bank account, and banks may enquire about your personal finances before granting any business banking services to you. Who is eligible for a business bank account? If you wish to set up a business bank account, Australian residents with a clean credit rating are in the best position to be accepted by providers, but being a resident of Australia isn’t required. If you have a locally-based representative of your business i.e. one half of your partnership, then your application for an Australian business bank account, even by a non-native can still be accepted. International residents may face greater amounts of admin due to any bank’s increased wariness of fraud. Can a business bank account be opened online? Some banks allow you to open a business bank account online, depending on your type of business. For example, if you’re a sole trader it’s much easier. However, in most instances banks require a meeting in person before granting you access to a business account. Depending on your bank, you may be able make an appointment at your local branch via the bank’s website. You will be required to provide the documents listed above, and may be asked further details about your business. Many business bank accounts charge you a monthly flat fee. There may be some fee-free options depending on the services you require. However, these are often special offers and may change the fee structure after a certain period, so make sure you read the terms and conditions. In other instances, banks will charge a service fee of things like banker assisted transactions. These fees are usually a fixed amount (as a posed to a percentage of the transaction). Some banks also offer introductory rates, such as offering what appears to be a free business bank account. Many banks favour this approach, with some offering 12 months free banking for new accounts. A glance at the fine print will show that this may not be applicable to your business based on turnover or other similar details, so make sure to study the fine print carefully. Variations from bank to bank can include offering a dedicated mobile app, an online bank account, overdraft facilities or none of the above. As such, you are advised to not simply settle for the first business bank account you are offered, as it may not accommodate the way you plan to manage your business. 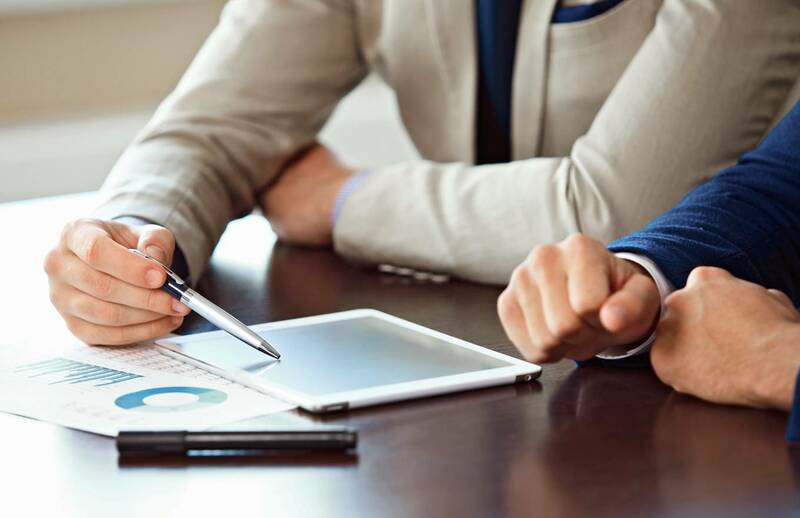 When it comes to finding the best bank for business accounts, the big four banks are the most commonly used providers, but they vary in their fees and offerings. Some banks will also charge differently for those who switch bank account compared to those who are opening a new bank account with them. Below is a summary of what you can expect from the big four banks, helping you pick the best business bank for your needs. Offers listed below current as of 5 March 2019 and are subject to change. Please visit individual bank websites for up-to-date pricing. The Commonwealth Bank has two business bank account options if you’re planning on using it to make transaction. The popular Business Transaction Account, which has a $10 monthly account fee, is well suited to sole traders and small businesses. It allows you to separate you business finances from your personal and can be set up online. It can be paired with a Business Online Saver account at no additional cost, which gives you the opportunity to earn competitive interest on balances over $10,000. The Premium Business Cheque Account is well suited to medium size businesses. There’s no monthly fee if the balance stays above $15,000 per month; otherwise, the monthly fee is $15. This account pays interest on any balance above $5,001. NAB offers two main transaction accounts, both with different fee structures. The Business Everyday Account is suited to traders who make a low number of transactions and mainly transact online. There is no monthly fee, but you’ll be charged $2.50 per banker assisted transaction, $0.60 per cheque transaction and $0.60 for each non-banker assisted paper based deposit and withdrawal. NAB’s other Everyday Account has a $10 monthly fee and is designed for businesses that make a high number of online and assisted transactions. There is no charge on assisted transactions, which gives you greater certainty of costs. ANZ also offers two transaction accounts. The first, ANZ Business Advantage, is a simple, low-cost business account that gives you easy access to your money via ANZ Internet Banking, ATMs and branches. There is a $10 monthly flat fee. ANZ’s other option, ANZ Business Extra, is an everyday business account offering greater flexibility and control through ANZ Internet Banking for Business (IB4B). There is a $22 monthly fee, but this also includes IB4B, which is usually $15 a month. Westpac have three business transaction accounts, each suited to different kinds of businesses. The Business One Low Plan is ideal for businesses that mainly transact electronically. Westpac currently have a special offer: if you open an account before 31 March there will be no account fees for the first 12 months. At the end of that period, you will be charged a $10 flat fee per month. This account allows you to make 25 free transactions per month, including staff-assisted and cheque transactions. If your business has a high number of transactions, you might want to consider the Business One High Plan. There is a $20 monthly fee, which allows you to make unlimited transactions, of which 60 are free. After that, you’ll be charged $0.50 per cheque transaction, $1 for each withdrawal or deposit at a branch and $1 on narrated credits. Once you have your business bank account, it’s simple to link it to your Square account and begin receiving funds within 1-2 business days. Square will need to verify your account before money can be deposited, however, you can still accept payments – these will be securely stored in your Square balance. Sign in to your Square account and go to Bank Accounts. Enter the account holder’s full name, account number, and the Bank-State-Branch (BSB) number of your preferred bank account. Please check your internet banking system or a recent bank statement for your BSB and account number. Check your information is correct and click submit. Square will verify your account and complete the process, this can take up to 4 business days. Following your account being verified by Square, you can have payments deposited straight to your account. Square’s deposit schedule has payments deposited the following business day. Transactions made from Friday – Sunday will be deposited the following Monday. You can change your Close of Day time in your Square Dashboard to better reflect your trading hours, this allows Square to group the transactions of the past 24 hours into one deposit and is especially useful for businesses trading after midnight. For further information of deposits and linked account settings, visit our Support Centre. Business Credit Card vs Business Loan — Which is Right for your Business? From magnetic stripe and chip cards to NFC payments, accept every way your customers want to pay. © 2019 Squareup Pte. Ltd.